HEATED SEATS, SUNROOF, BACKUP CAMERA, SIRIUSXM RADIO, Black Cloth, AM/FM radio: SiriusXM, Blind spot sensor: Blind Spot Information (BSI) System warning, Brake assist, Distance pacing cruise control: Adaptive Cruise Control with Low-Speed Follow, Electronic Stability Control, Exterior Parking Camera Rear, Heated Front Bucket Seats, Heated front seats, Illuminated entry, Power moonroof, Radio: 180-Watt AM/FM/HD/SiriusXM Audio System, Remote keyless entry. Modern Steel 2019 Honda Accord EX FWD CVT 1.5T I4 DOHC 16V Turbocharged VTEC LIFETIME WARRANTY included! This EX is a mid-level trim for customers wanting great upgrades at an affordable price. Hello, I would like more information about the 2019 Honda Accord Sedan, stock# QC00327. I would like test drive the 2019 Honda Accord Sedan, stock# QC00327.  Please text me about this 2019 Honda Accord Sedan (1HGCV1F45KA051958).